I have a low thyroid, which should be controlled by medication (T4) meaning I can live a normal life. However mine does not want to play that game. I still remained ill! 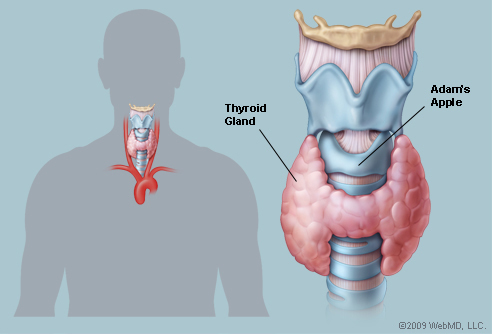 People think that having a low thyroid is all about being tired, it can actually be a life changing disease that affects you at a very basic functioning level. Here is checklist you can print off, complete and take to your Doctor. How Many Symptoms Of Low Thyroid Do You Have? and I have most of them and a few more as well. I know that stuff is boring but I just want people to know that there is more to the thyroid than controlling tiredness, so watch for the early warning signs. Hi Sue. how can I help you? Remember you have to take charge of you health and I know it is hard but you must find a Dr to listen to you. Let me know more and I will try to help with talking to your Dr.
Hi there and yes that can happen to quite a high percentage of people, including me. I was advised to go as high as 200mcg not realising my body was unable to store it and in fact I was poisoning myself. So what next for you. 2. Get a pulsometer and take the readings as above. 3. Go onto my blog and print off the thyroid and b12 symptom checklists and Mark off all the symptoms you have. 4. Keep a diary of your food intake and how you feel after each meal. In 2 weeks time email me and let me know your info from the above. You sound as though you are not absorbing the T4 and need different medication.There are options and once I know more then I can help you identify your choices.